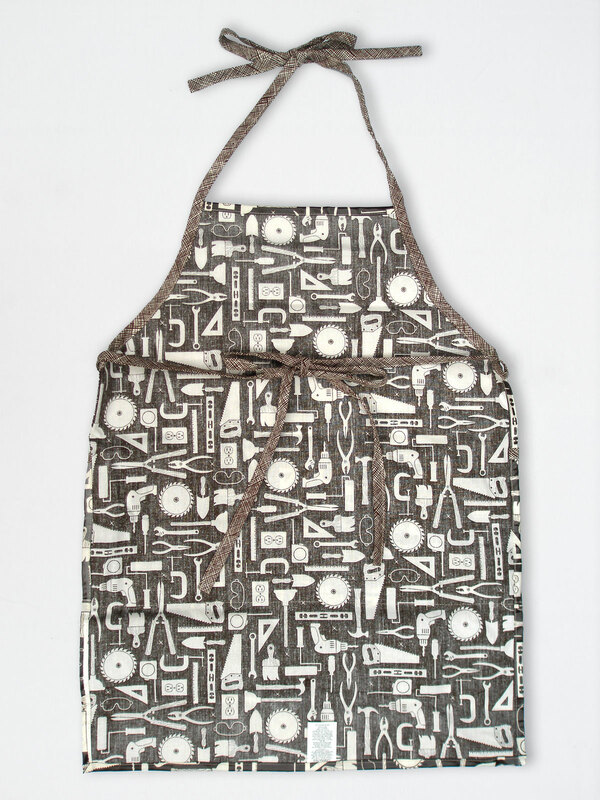 ‘Wood Shop’ apron is a laminated cotton fabric that repels water and that you can just wipe off clean. Use anywhere: crafting/building, grooming the pets, cutting hair, gardening, or cooking in the kitchen you will stay dry and clean. You never have to worry about nice clothes getting wet or stained. 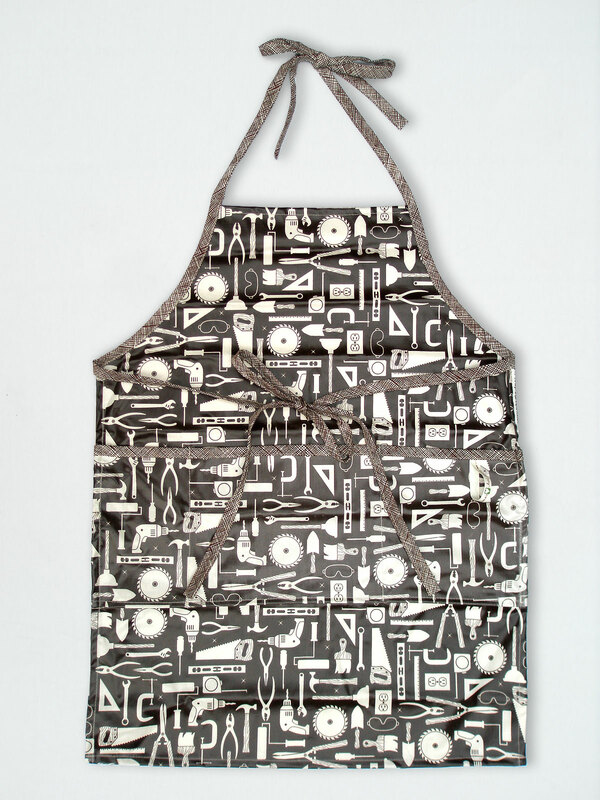 A very useful apron to tackle those messy jobs in your life. 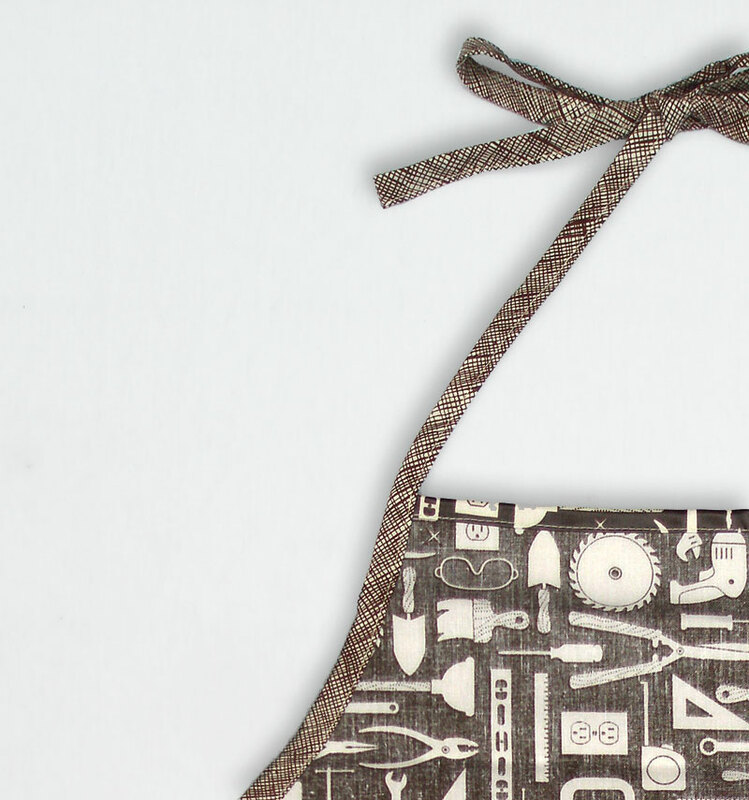 This makes an amazing gift for the “foodie” in your life. It also makes a thoughtful gift for a hostess or neighbor. 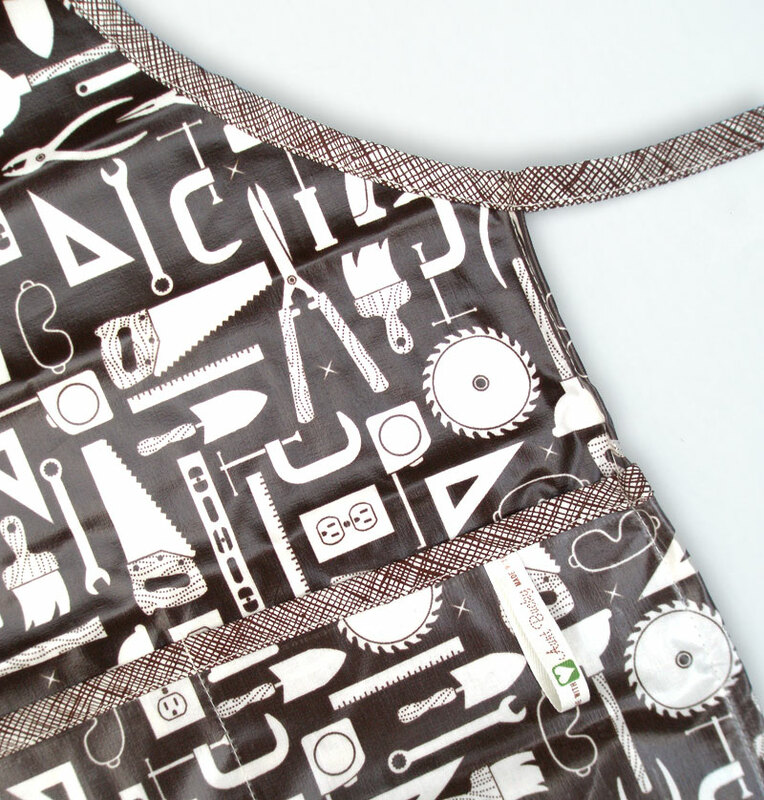 – Adult/Teen Wood Shop Apron is sized for teen-aged children and adults. SKU: AuntBucky-WS_Apron. Categories: Aprons, Sale. Tags: adult apron, apron, art smock, chef apron, cooking apron, crafts apron, dad apron, laminated apron, mens apron, painters smock, salon apron, smock, tool apron, unisex apron, waterproof apron, wood shop apron. – Our signature Heath Brown Fabric is used for neck and waist ties. – Ties are made of natural cotton twill tape. – Adjustable neck and waist tie. – Dimensions: 22.5” wide and 27” long. – Full width pocket with deep space for tucking tools/goodies securely.